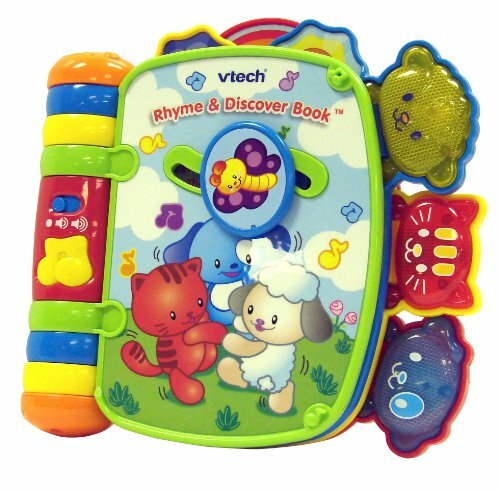 Help children discover a whole new world of learning with Vtech Rhyme & Discover Book. It makes sure your child has a great time learning rhythm and rhyme together. The seven nursery rhymes sound delightful to baby’s ears, while the three light up characters, a magical moving play and open ended questions encourage children to think. Why You’ll Love it: Introduce kids to the world of rhythm and rhyme. Great fun for toddlers and educational too, they would have hours of fun with it. For the amount of functions on it it is a bargain at this price. V-Tech makes excellent toys! Never been disappointed and prices are very reasonable.